Stoke City goalkeeper Jack Butland says he feels for Joe Hart after his high-profile errors at Euro 2016, but is still determined to take his England place. Hart was at fault for goals against Wales and Iceland and the Manchester City goalkeeper is facing fresh calls for Butland to replace him, with the 23-year-old fit again after missing the tournament with an ankle injury sustained in an international friendly in March. Butland insists he is determined to become England's number one and noted Roy Hodgson's successor may want a reshuffle in the squad. 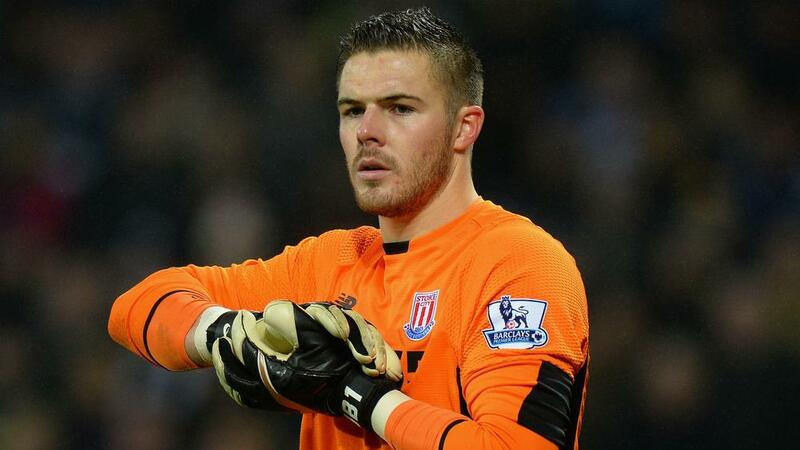 "It's a massive stage and he made some errors that he won't make again," Butland said. "That's the nature of goalkeeping and he's still someone I look up to. "With his mental toughness and character he will bounce back and be the goalkeeper everyone knows he is. "But it's tough to see because you don't want to be in that position and it's horrible to see it happen to someone else. "Maybe it will give me an opportunity, but it's still down to me to perform and show everyone what I'm capable of. "I'm hoping to have a good pre-season, start the season well, get in that first England squad and go from there." Butland has been given the all-clear to take part in pre-season after a scan revealed his broken ankle has fully healed.